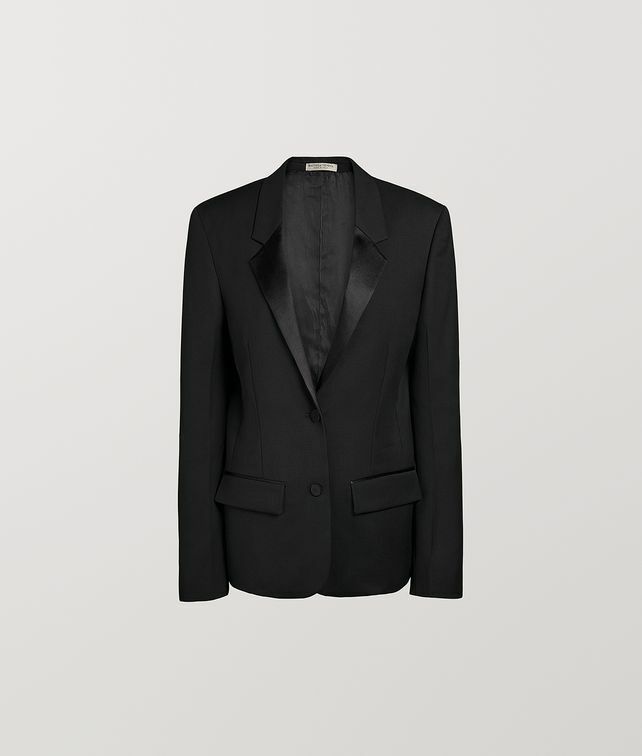 Made from grain de poudre wool with duchesse satin lapels, this timeless tuxedo jacket is precisely tailored for a sharp fit. New for Spring/Summer 2019, it reflects the season’s return to the essentials, translated with Bottega Veneta’s innate sophistication and a modern point of view. •	Cuffs are designed with buttonholes but no buttons for a relaxed, worn look. Matching buttons are included and can be sewn on if desired.